Lenovo Moto G5: Specs, Price, Release - All info! I'm Last year, Lenovo released the fourth generation of the Moto series. 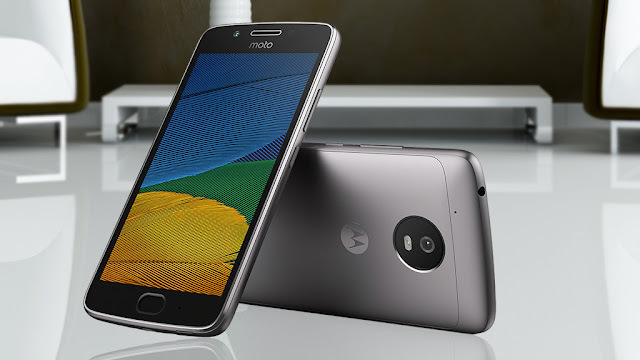 At the Mobile World Congress (MWC) in Barcelona the manufacturer presents the successor models Lenovo Moto G5 and Lenovo Moto G5 Plus . The first impression: With (metal) gloss and performance Lenovo wants to mix the middle class. But with pure size the manufacturer would not like to flaunt. Moto G5: Coming out with 5 inches? The display of the Moto G5 is 5 inches. The Lenovo Moto G4 still had 5.5 inches. Like the predecessor comes the new G5 device with full-HD resolution. A 1.4 GHz snapdragon 430 processor, which supports 2 gigabytes (GB) of RAM, takes care of the computing work. The internal memory is limited to 16 GB, but it can - like the big brother Moto G5 Plus - expand by memory cards by up to 128 gigabytes. Android 7.0 Nougat is used as the operating system. The battery has a capacity of 2,800 milliameters. The main camera with 2.0-aperture shoots like the predecessor photos with 13 megapixels, while the Selfie camera - as with the Moto G5 Plus - with 5 megapixels and 2.2 aperture. With the 4er model it was still 8 megapixels. With the Moto G5, Lenovo really does not have to hide. Metal housing, screen and camera make more than one expects for under 200 euros. The Snapdragon processor enables fast operation. The cost of the Lenovo Moto G5 is 199 euros. The metal case comes in two colors: gray and gold. Still in March is sales start.